Why Should You Participate in Social Networking? Social networking has stormed the online world and has changed forever the way people communicate over the internet. Social networking is the meeting of, getting together of people from various backgrounds and cultures to share one common platform. Through social networking people can make new friends, they can get in touch with their old friends; keep in touch with family members and childhood friends and more. Just like living in a society and being part with it is important in the real world, being part of social networking gives you immense opportunity in the virtual world. Through social networking people can exchange information, share thoughts, express themselves and speak their minds on any topic. 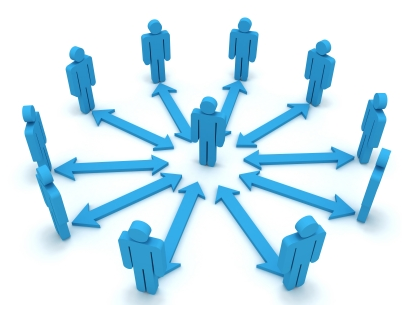 Also like minded people can come together and form a community of their interest and share ideas related to the topic. Social networking can give you a lot of information. You can get to meet so many different people, learn about them, about what they specialize in and maybe an opportunity can come out it for you. Social networking is so amazing that people have found homes, jobs, spouses and much more through it. There are so many social networking websites today and each provides the user so many options that it becomes almost an addiction to be on them. Face book, Twitter, MySpace and LinkedIn are some of the immensely popular social networking websites which have millions of users registered with them. The profile page can be referred to as the personality of the users as the users design and create them as per their tastes and preferences. The social networking websites offer many options to the users to create smart and snazzy profile pages. Another integral aspect of social networking is that of blogging. Here the blogger has the freedom of expression to say anything and everything. He can express his opinions and views on almost any subject and when creative people communicate through expression of opinion then even a breakthrough in dialogue can be achieved. Social networking is the ‘in trend’ way of communicating and keeping in touch over the internet. Social networking lets you know about so many different things through your friends and contacts that your sphere of knowledge improves drastically. Social networking can also be used to promote a business you may be running. Having access to millions of people every day is a marketing advantage only social networking can provide. Social networking puts you on the map. If you are a member on a social networking website then you are known to so many other people. And if you mention your business or skill on your profile page then so many people will come to know of your skill or business for that matter. Your business will find awareness like never before and your friends and friends of friends will make it a point to try your product or give you business. If you are not making use of the full scope of social networking then you will stand to lose out on a major part of awareness whether personally or for your business.